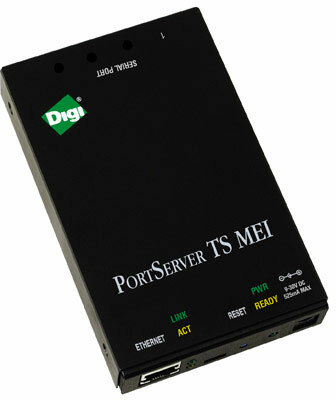 The Digi One TS makes it easy to connect any EIA-232/422/485 serial device to your network. It combines the inherent benefits of data networking with proven asynchronous connectivity to deliver powerful, yet simple Ethernet connectivity for all your serial devices. The Digi One TS delivers universal and powerful features including data security via SSH v2, port buffering, and full SNMP management, making it ideal for applications like console management where device management and monitoring are critical.